Subchondroplasty, now offered by Dr. Grossfeld, helps to relieve pain caused by osteoarthritis, bone marrow edema, or insufficiency fractures in the knees. (PRLEAP.COM) Louisville, KY - May 12, 2017 - Dr. Stacie Grossfeld - one of Louisville, KY's Top 10 Orthopedic Physicians - is now offering subchondroplasty procedures to help ease pain for patients suffering from osteoarthritis, bone marrow edema, or insufficiency fractures in their knees. Dr. Grossfeld has been successfully practicing this minimally invasive procedure for the past year at Orthopaedic Specialists PLLC in Louisville, KY, and she wants to raise awareness of the benefits subchondroplasty offers to patients suffering from knee bone and joint degeneration. In the past, studies have shown that patients with osteoarthritis, bone marrow edema, or insufficiency fractures in their knees suffer from accelerated joint degeneration. If these health issues are targeted and treated with subchondroplasty, pain in the affected areas can be reduced and joint degeneration can be slowed down. Dr. Grossfeld is always trying to find innovative ways to reduce the number of patients that come into her office to undergo knee joint replacement surgery. An interesting research study authored by Scher et. al. 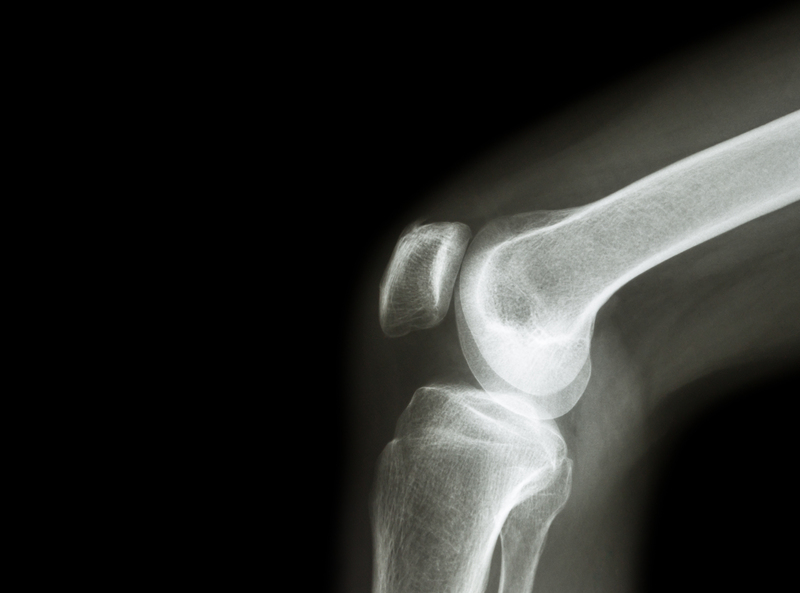 in 2008 revealed that patients who showed signs of osteoarthritis, bone marrow edema, or insufficiency fractures on their MRI scans were nine times more likely to need another replacement over a three year time period. Through subchondroplasty, Dr. Grossfeld is able to safely delay knee joint replacement surgery until patients are older and less active. Subchondroplasty is a minimally-invasive, outpatient surgical procedure that is done in an operating room. Since bone marrow lesions cannot be detected or diagnosed using x-rays, MRI scans are used to map and locate the lesions. Using the preoperative MRI scan as a mapping device, the knee joint is scoped arthroscopically during the surgery. Once the lesions are located, Dr. Grossfeld performs arthroscopic debridement to remove damaged cartilage and bone from the affected area before using a trocar needle to inject liquid synthetic calcium phosphate bone filler where the bone marrow lesion is located. Removing the damaged cartilage and bone prior to injecting the liquid synthetic calcium phosphate bone filler is part of the surgical process due to a two year study performed by Drs. Steven Cohen and Peter Sharkley from the Department of Orthopedic Surgery at Thomas Jefferson University in Philadelphia, PA. These researchers found that patients who underwent subchondroplasty after arthroscopic debridement experienced significant reductions in pain for up to two years postoperatively compared to patients who did not undergo the same procedures. By injecting the affected area with synthetic calcium phosphate bone filler, the bone marrow lesion in the area of the compromised bone "heals". It takes 8 minutes for the bone filler to set and harden. Once the filler is hardened, the arthroscopy is completed. Following surgery, patients are able to bear weight on the knee joints and resume activity. The critical benefit of the subchondroplasty procedure is that patients who receive the injections are not compromised if they are to ever need knee joint replacement surgery. Subchondroplasty is proven to delay knee joint degeneration, ease osteoarthritis pain, and heal bone marrow lesions. Dr. Grossfeld offers subchondroplasty to patients who are looking to ease knee joint pain without undergoing major surgery or affecting their active lifestyles. Orthopedic surgeon Dr. Stacie Grossfeld first became interested in orthopedics thanks to her love of competitive sports. While she was growing up in northern Wisconsin, Dr. Grossfeld was an active cross country ski racer and a competitive cyclist. Throughout high school, she ran cross country, as well as track, and her love for fitness and sports that first got her interested in orthopedics is still strong today. After graduating from the University of Louisville School of Medicine, Dr. Grossfeld completed her internship and residency at the University of Minnesota before accepting a fellowship in sports medicine at the Fowler-Kennedy Sports Medicine Center in London, Ontario, Canada. Now, she is double-board certified in orthopedic surgery and sports medicine through the American Board of Orthopedic Surgeons and runs a private practice, Orthopaedic Specialists PLLC, in Louisville, KY.
Outside of work, Dr. Grossfeld is an active philanthropist and mentor in her community. She spends time working at her alma mater as an Assistant Clinical Professor in the Department of Orthopedic Surgery, participates in the University of Louisville's Guaranteed Entrance to Medical School (GEMS) program by offering students the opportunity to learn more about orthopedic surgery, and serves on the board of various area organizations including the YMCA and the Louisville Sports Commission. 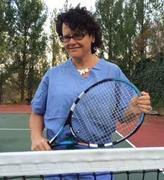 She also enjoys playing tennis, cycling, weightlifting, and spending time with her family. Orthopaedic Specialists PLLC offers two convenient locations in Louisville, KY. Patients receive treatment options for a wide range of sports injuries and orthopedic conditions including: knee injuries and reconstruction, shoulder injuries and reconstruction, sports medicine, foot and ankle injuries, elbow injuries, hip pain, ACL injuries, and much more. Additionally, Dr. Grossfeld routinely performs arthroscopic rotator cuff repairs, ACL reconstructions, platelet rich plasma (PRP) injections and subchondroplasty procedures. If you or someone you love is experiencing knee joint pain and is interested in learning more about alternative options to help reduce pain and regain mobility, contact Dr. Stacie Grossfeld at Orthopaedic Specialists PLLC today. Call 502-212-2663 or visit Orthopaedic Specialists online to learn more about Dr. Stacie Grossfeld and how she can help.